>Wheel of F&SF rejection slips. 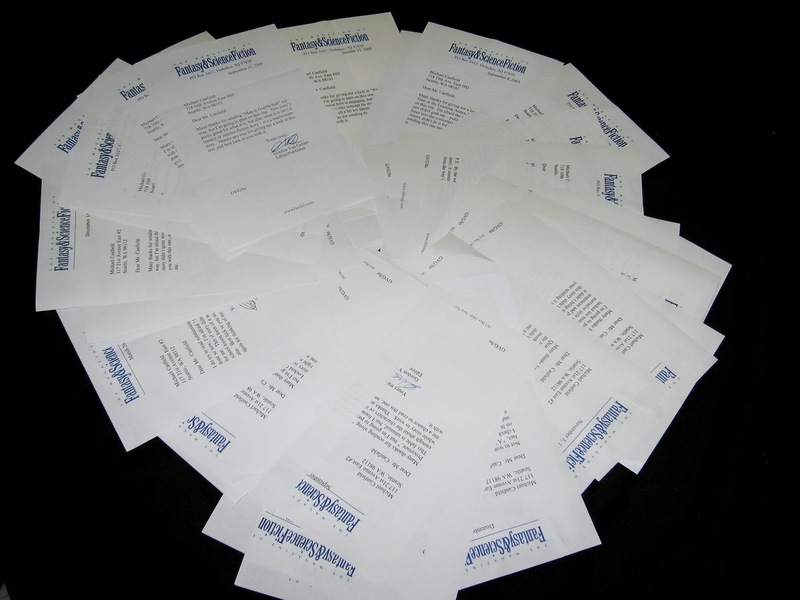 Here are forty rejections I’ve received from the Magazine of Fantasy and Science Fiction over the years. Some of them sold elsewhere, some didn’t. The background is a ratty old bedspread, but it sort of disappeared, and I think the photo came out pretty cool.